Our glam cover story, & designers predict the future this Thursday—get your tickets now! Design Minds is a platform for dynamic discourse with the Pacific Northwest’s top design talent. The Pacific Northwest leads the way when it comes to innovative new ways of living and building. From pop-up building systems to high-rise vertical villages and integrated next-wave technologies, our panel uncovers the forces at work bringing the future present. We'll reveal the latest breakthroughs in urban living, design, and construction materials as we envision our cities' imminent future. Now is a great time to forward this newsletter to a friend because not only will they discover GRAY emails, but next week all of our valued email subscribers will get access to purchase tickets to the GRAY Awards before they go on sale to the general public! SIGN UP FOR GRAY EMAILS HERE. 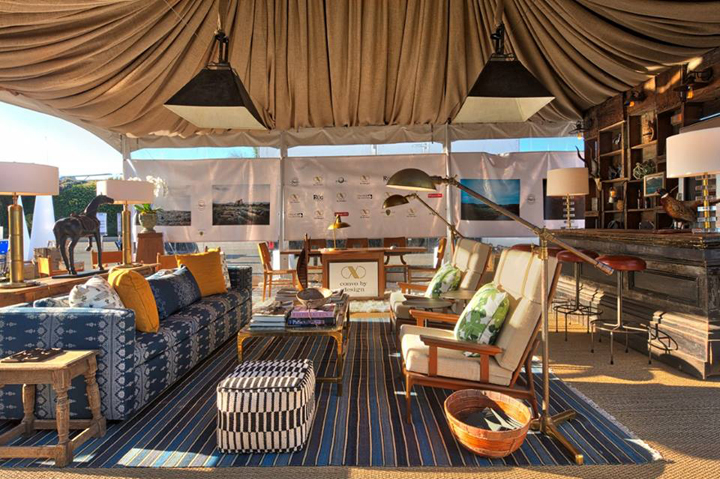 The West Coast is on fire with essential design events, and WestEdge Design Fair in Santa Monica is going to be showing the best of modern design this fall. More than 10,000 design enthusiasts will come together to see the latest from 150+ leading design brands ranging from furniture and lighting to kitchen and bath lines. Hear panel discussions from leaders in the design industry tailored to the trade as well to consumers, and attend the opening party benefitting Los Angeles Ronald McDonald House and featuring work by 25 of L.A.'s most exciting street artists. Join GRAY for a glamour-filled weekend of modern design! Get $5 off your ticket with promo code GrayReader. GRAY is a proud media sponsor of WestEdge Design Fair! Been meaning to subscribe to GRAY? Take that minute now! Subscribe here. See more design events near you!